‘Your Lie in April’ is one of the most beautiful romance anime. The beautiful mix of romance, music, and tragedy is something which makes this anime unique in its genre. The show follows the life of a depressed pianist who seems to have struck a wall after the death of his mother. But a chance encounter with a beautiful and talented violinist life starts to take shape again as he seems to be able to strike the chords again. If you have been wanting to watch a similar anime which gives you the same feeling, then you have come to the right place. Here is the list of anime similar to ‘Your Lie in April’ that are our recommendations. You can watch some of these anime like ‘Your Lie in April’ on Crunchyroll or Netflix or Amazon Prime or Hulu. The protagonist of ‘Golden Time’ is Banri Tada. At the time of his high school graduation, he has an accident which results in him suffering from amnesia. Due to this, he does not remember anything from his past. Mitsuo Yanagisawa is another high school pass out like Banri. After becoming friends with him, Banri feels that he should start afresh and enrolls in a law school with him. 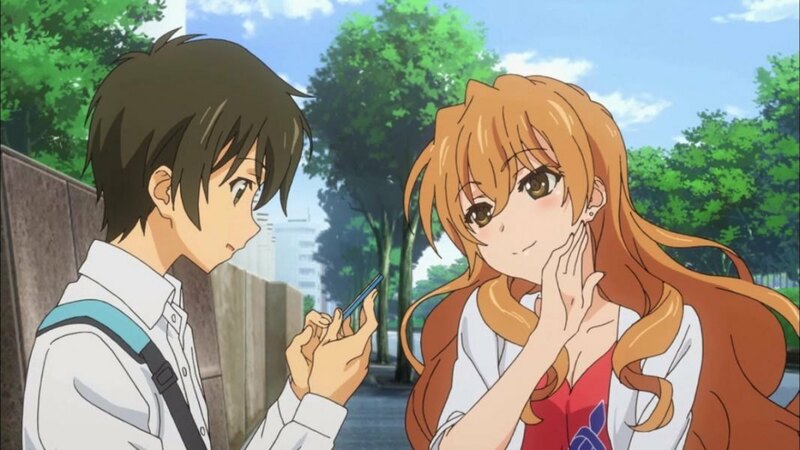 Then all of a sudden a beautiful and rich girl, Kouko Kaga, enters into his life. The encounter with her will give Banri a beautiful year in his life which will have a long-lasting effect on him. This year will be something he will never want to forget. Did you tune into this list because you were searching for a musical anime like ‘Your Lie in April’? Then don’t worry, cause I got you covered. ‘Sakamichi no Apollon’ is a beautiful anime which showcases the power of music in bringing people closer. The anime deals with three individuals who encounter each other and grow close due to their love for Jazz. Kaoru Nishimi is a classical pianist. He is an introvert and having moved from place to place since his childhood he seldom has any hopes of making friends and ends up being alone. But this summer everything might change. 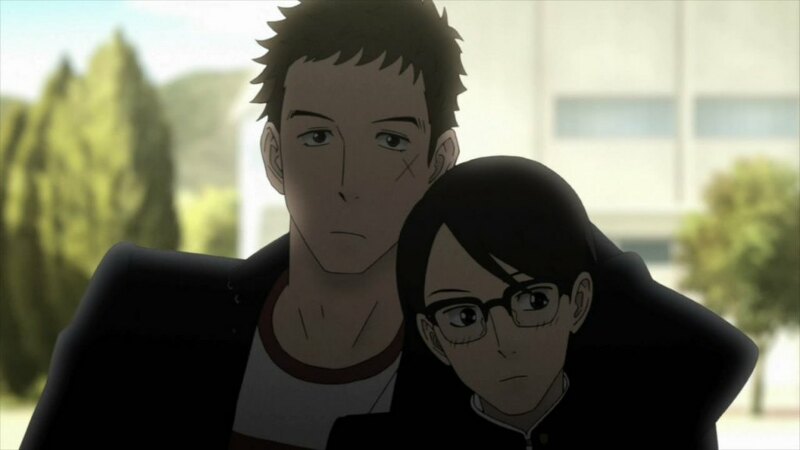 He has a chance encounter with the delinquent Sentarou Kawabuchi who happens to be very much passionate about jazz. Along with him and another of their friend he starts exploring the genre and becomes closer to them as learns the joy that music brings. 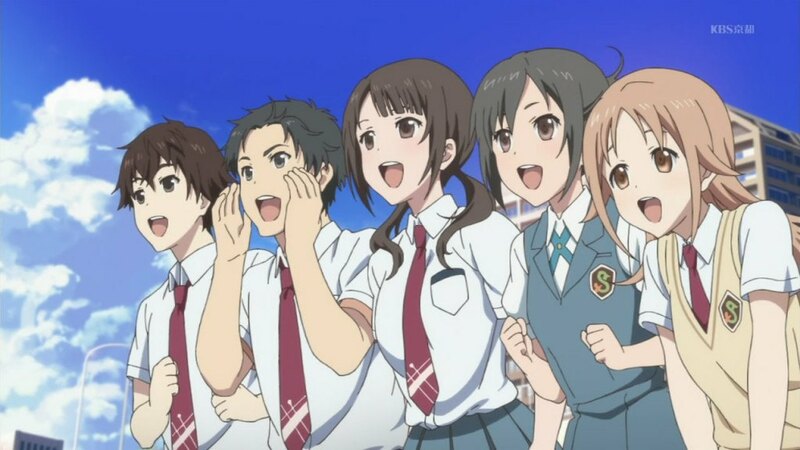 ‘Tari Tari’ is an anime which deals with school life and music. It is an entertaining show which shows the struggle of a girl as she tries her best to achieve her dream. The special recital that occurs every year in the Shirahamazaka High School is one of the most important events. Their students who have an interest in music can perform in front of professionals and famous guests. Konatsu Miyamoto is in the third year of her high school and dreams of having a chance to perform at the recital. But there’s a problem. She is banned from performing due to her screwing up the previous year. But Konatsu is determined and decides to form her own music group rather than sing in the choir. But it is more difficult than she imagined and she has only one month left before the recital. 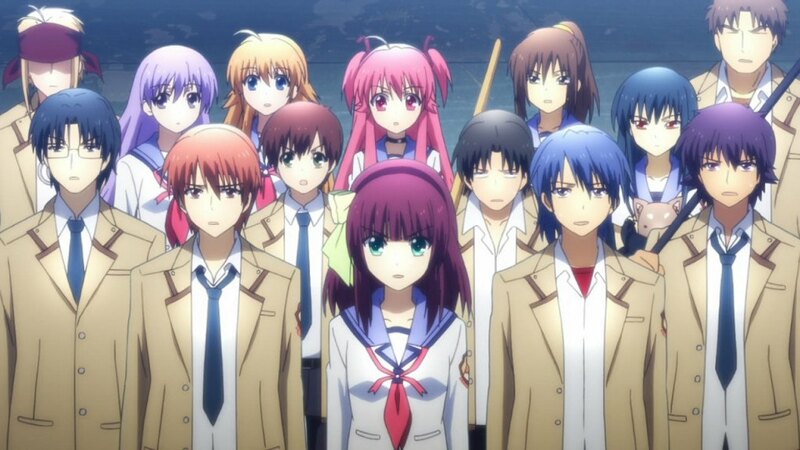 ‘Angel Beats!’ follows the story of a guy who wakes up to find that he is dead and is now experiencing the afterlife. That guy is Otonashi and the only thing he remembers about himself is his name. 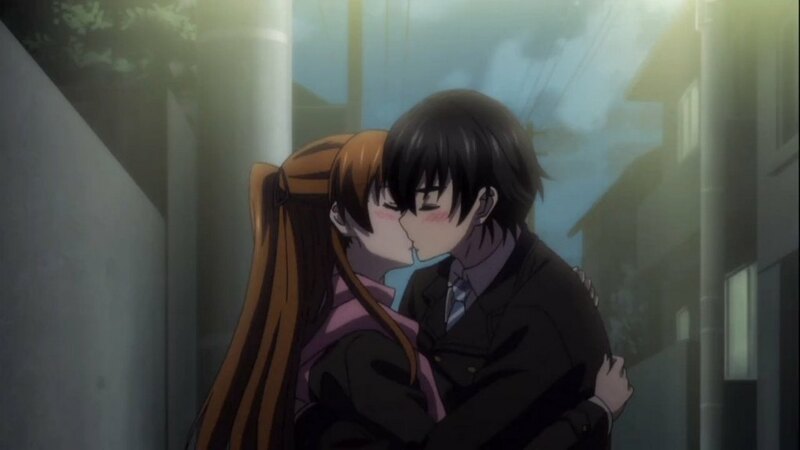 He meets a girl by the name of Yuri who wields a gun and says that she heads the Shinda Sekai Sensen. A group which tries to battle against the evil girl, Tenshi. But Otonashi does not believe Yuri and thinks that Tenshi is not evil. He decides to speak with her but the encounter does not pan out well. He hesitantly joins the SSS and their war against Tenshi but as the series continues he feels an unusual pull towards what others perceive as an antagonist. Looking for a nice romantic story? 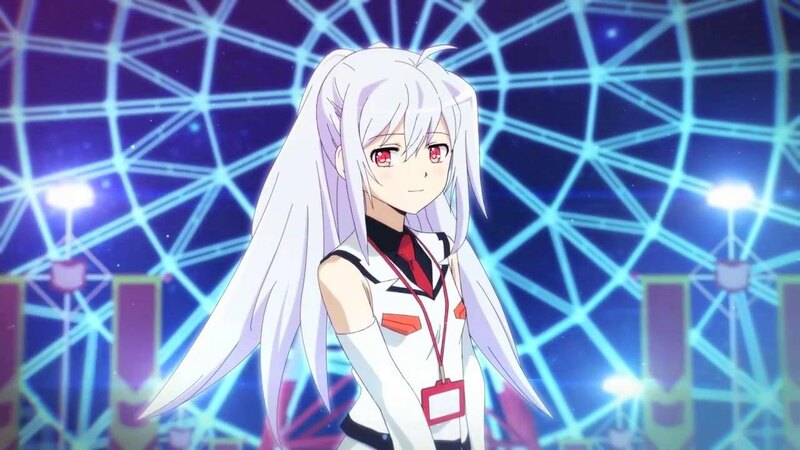 Then you might wanna check out ‘Plastic Memories’. 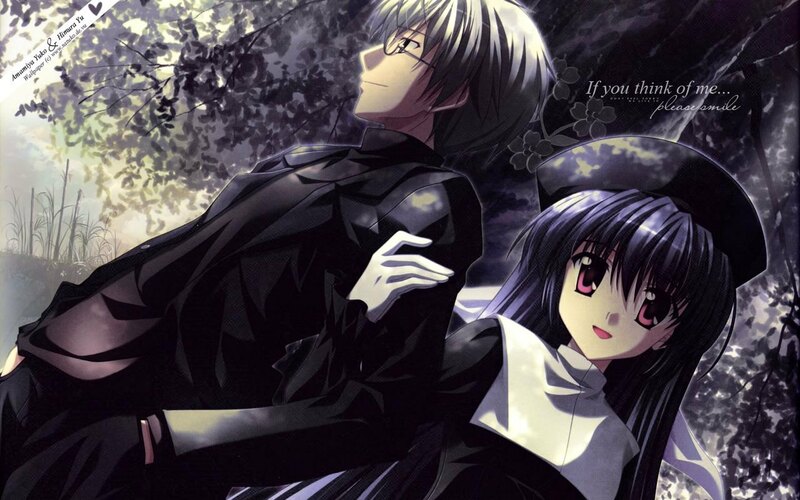 Tsukasa Mizugaki is the protagonist of this anime. He is n’t good at academics and fails his college entrance exams. Sion Artificial Intelligence Corporation is one of the leading corporations in the field of Artificial Intelligence. They produce A.I. dolls known as Giftias. These androids are indistinguishable from humans but they have a lesser life span of about 9 years four months. Tsukasa ends up getting a job there and his task is to retrieve the expired Giftias. His partner is a beautiful Giftia by the name of Isla. Slowly, Tsukasa finds himself falling for her in spite of knowing that she is just an android and will probably die soon. 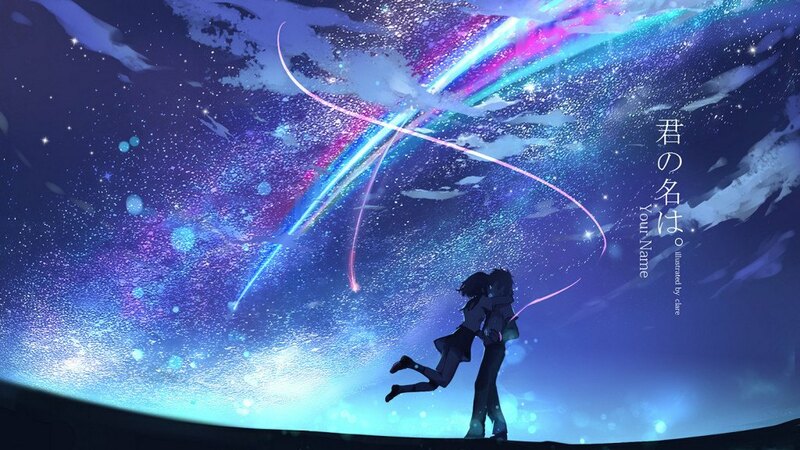 ‘Clannad’ is a popular romance anime and is rightfully show. The story is pretty decent and the characters are entertaining. The protagonist of ‘Clannad’ is the delinquent Tomoya Okazaki who loves wasting time with his friend. One day he encounters a girl by the name of Nagisa who was muttering to herself before suddenly exclaiming “Anpan!”. Tomoya finds out that the girl tries to motivate herself by exclaiming things she likes. 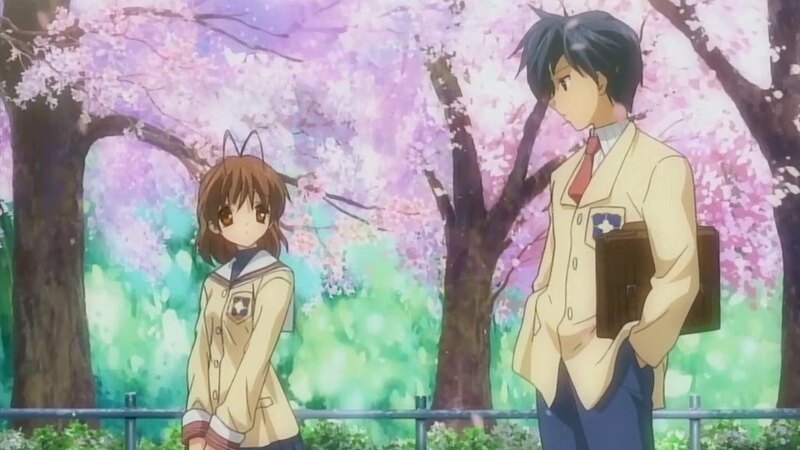 Nagisa tells that they are friends now and though hesitant at first Tomoya later befriends her and learns that she has been held back a year due to her illness. Nagisa wants to revive the drama club of her school and Tomoya decides to help her along with four other girls. He will soon realize that life is not as boring as he thinks. ‘Hibike! Euphonium’ has a fairly simple story. It is about a band which is hesitant and lacks confidence due to a certain event in the past. But since the band’s instructor has changed they feel a glimmer of hope but there are lots of obstacles to overcome before they can qualify for the nationals. The journey that each character goes through over the course of this anime is something watch and enjoy. Each character will grow and overcome the obstacles specific to them all the while contributing to the band. 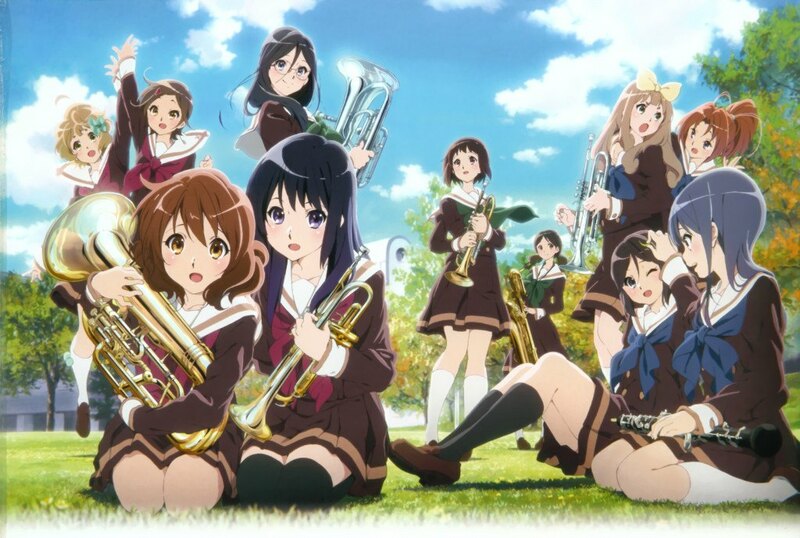 The anime tells the story of euphonist Kumiko Oumae who along with her band members must work hard and overcome internal conflicts if they are to make it to the nationals. Like its predecessor ‘ef: Tale of Melodies’ revolves around two romantic stories. The first tale is set in the past and follows the life of Himura Yuu. He studies in the Otowa Academy. He is an ace student and works solely for the purpose of staying at the top. But then he meets a girl who happens to know him. Soon, Yuu finds himself remembering things from the past. Things which he has forgotten along with the sorrow and regrets which seem to be returning. The second tale is set in the present times and follows after the events of the first installment. It follows the life of Kuze, who is a talented violinist. 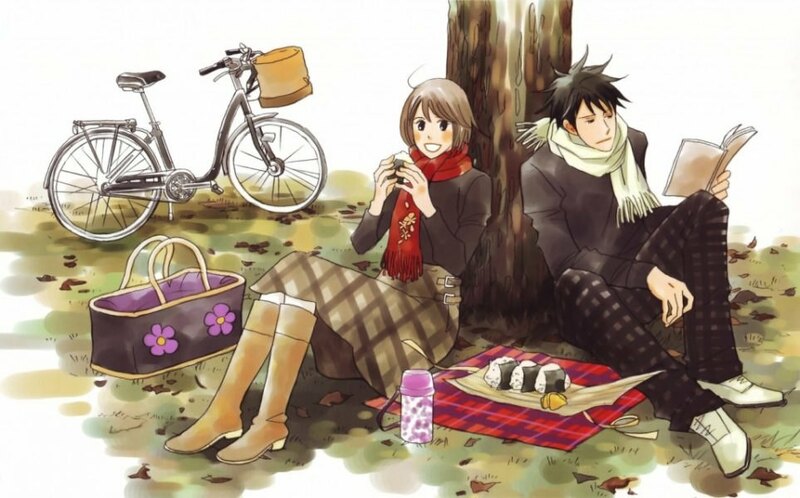 A girl by the name of Mizuki falls for him and tries her best to get closer to him. But what she doesn’t know is that there’s a tragedy ready to unfold at any moment. Haruki Kitahara is at the third year of his high school. he is a guitarist who wants to perform at the school festival. But his dream seems to be on the verge of remaining so since his band has disbanded. But a chance encounter with fellow music enthusiasts Ogiso Setsuna, a singer, and Touma Kazusa, a pianist, gives him hope. The band starts preparing for the festival and as the show progresses Haruki feels that he will be able to achieve his dream all the while getting drawn into a complex romance. ‘Nodame Cantabile’ is a story which revolves around two musicians-one a pianist and another a violinist. Shinichi Chiaki is a great violinist who is obsessively after perfection which makes him quite critical of himself and others. He wants to play among the elites in Europe but his fear of flying keeps him in Japan. Then he hears Megumi Noda, who chooses to call herself Nodame, play the piano and is impressed at her creativity. But he is still stressed by the fact that she is her neighbor and has fallen in love with him. 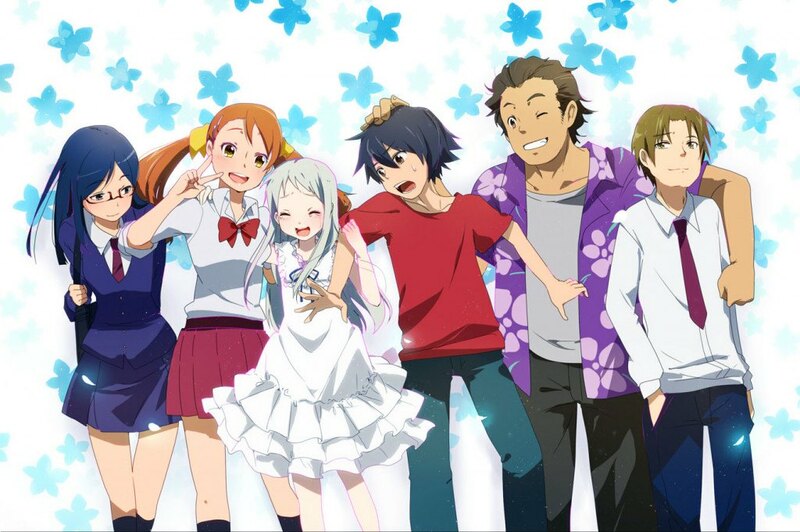 ‘Anohana: The Flower We Saw That Day’ is a beautiful anime. With just 11 episodes it will take you through a journey that you will remember for quite some time. The anime follows Jinta Yadomi who lives as a recluse. He seems to be seeing the ghost of a childhood friend they called Menma asking him to help her fulfill her forgotten wish. Jinta tries to reassemble his childhood group of friends to help Menma move on but soon they learn that they themselves have not moved on from Menma’s death and their individual feelings of guilt are the reason that they grew apart. Since the list is about anime similar to ‘Your lie in April’ it is highly probable that most of the anime on this list will be tear-jerkers. Staying with the same theme is the last entry on this lis, ‘Kimi no Na Wa.’. It is a really popular anime movie that everyone recommends everyone else but still many people have not seen it. If you have not yet watched the movie then be sure to check it out before the others. The story follows the life of two individuals by the name of Taki and Mitsuho who seem to have the ability to swap bodies. Throughout the movie, they try to find the identity of each other and meet but when they truly grasp the reality of this special phenomenon it hits them hard.